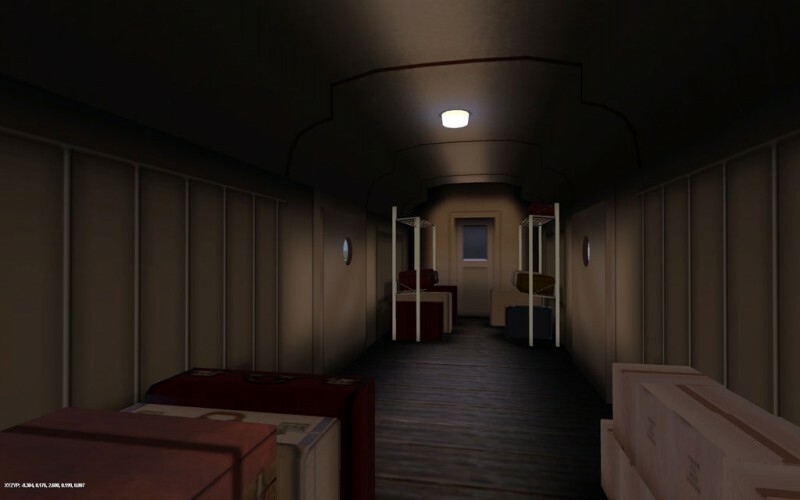 The PRR T1 'A Fleet of Modernism' Addon Pack. 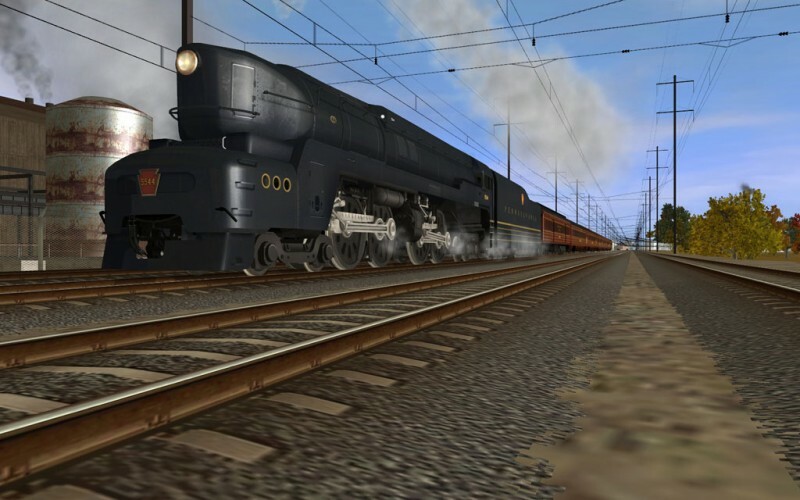 Recreates the striking image of these shark nosed behemoths in their days of speeding the 'Fleet of Modernism' cars to their destination on trains such as 'The Broadway Limited' and 'The General'. 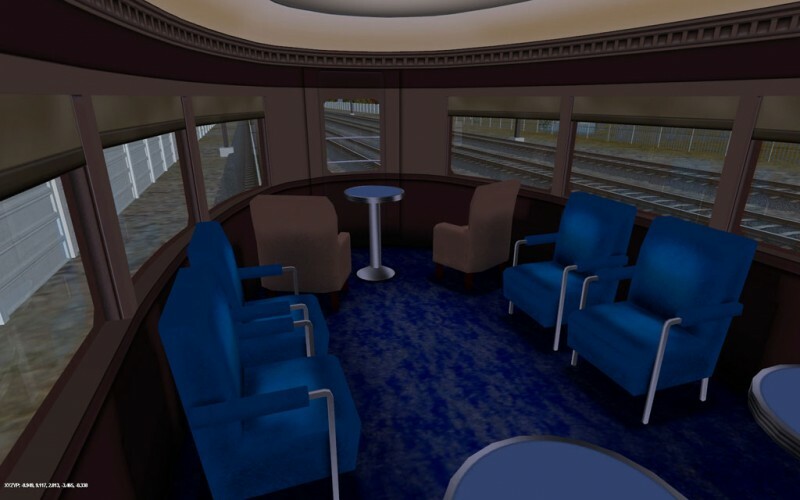 Step into the cab and take charge of these mighty horses, relax in the comfort of your roomette, or enjoy the view from the observation lounge. 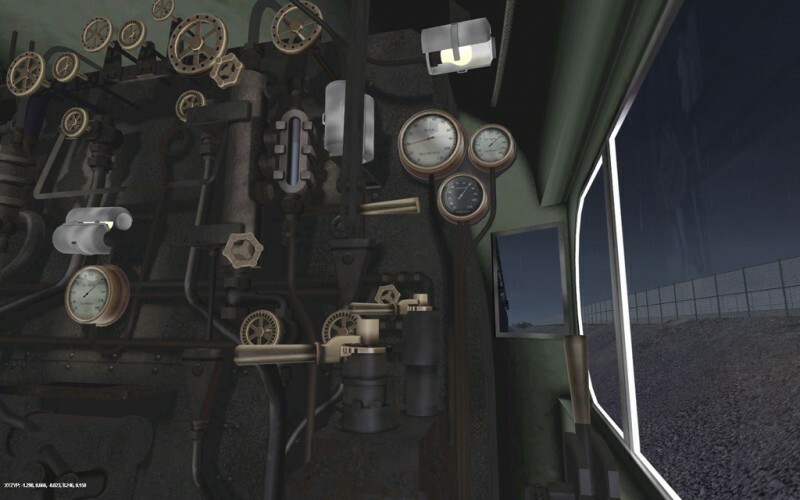 During the 1930's, competition with the increasingly popular automobile saw many railroads attempt to become a more attractive option by modernising their equipment. 'Streamline Moderne' was the style of the day and it's design trademarks were employed to repackage rail travel in a way that inspired a new sense of confidence in its service. Refurbishment saw classically decorated heavyweight carriages give way to smooth-sided designs of steel construction, and interior appointments kept in step with all the modern conveniences. 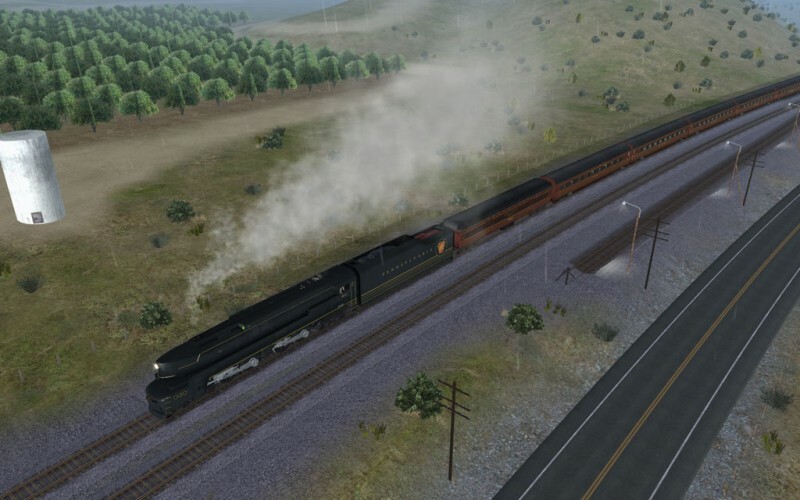 Flowing, aerodynamic appearance was characteristic of the streamline style, and brought a sleek, speedy and futuristic look to the railroads. Drastically falling passenger revenues on the Pennsylvania Railroad caused the administration to consider its own future in the streamlined world, and vision was required to create an identity that would capture the imagination of the travelling public. If you know the blue, white and chrome livery of Air Force One, or have filled up at a Shell in the last few decades then you know the design work of Raymond Loewy. In fact Loewy is remembered as one of the most accomplished designers of the twentieth century, and there are many examples of his influence over the modern world. Loewy would lead the team contracted to restyle the Pennsy's passenger equipment and devise the theme for its own 'Fleet of Modernism' for use on its flagship 'The Broadway Limited' and other blue ribbon services. 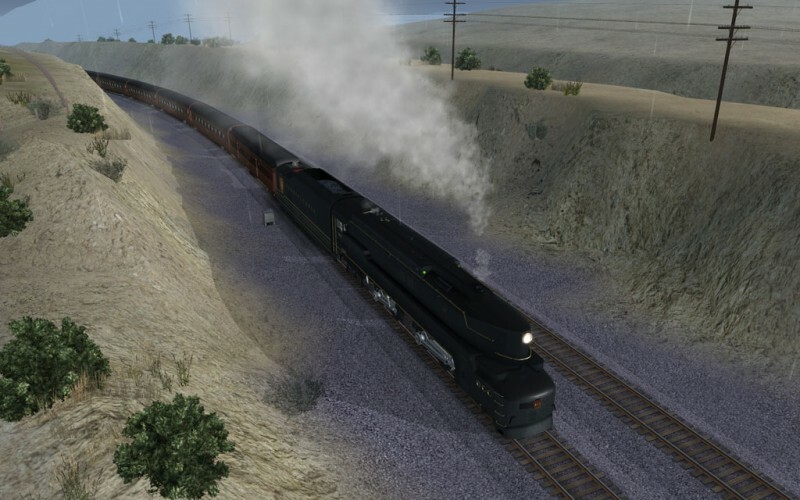 The climate of dwindling ridership and the fragile economic conditions of the depression led to co-operation between the Pennsy and the competing New York Central, who agreed to joint-develop their streamlined fleets and simultaneously introduce them. 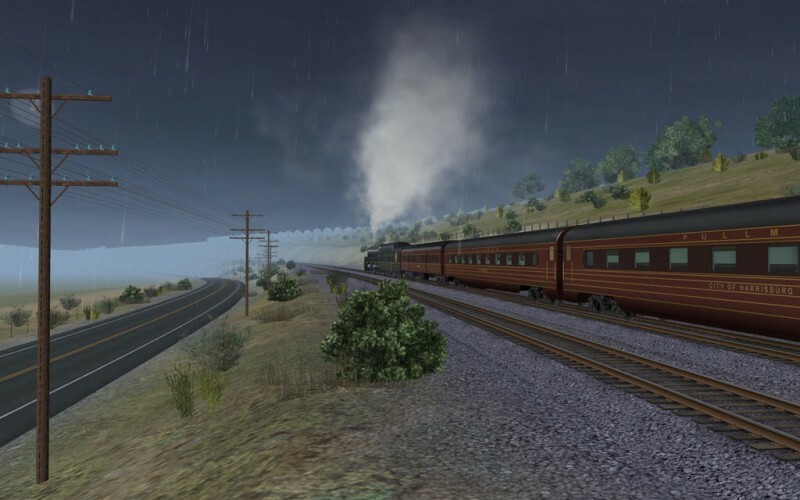 Car manufacturer Pullman hoped this would be an opportunity to standardise the equipment between the PRR's 'Fleet of Modernism' and the New York Central's dedicated 'Twentieth Century Limited' consists. Raymond Loewy saw things differently however and sometimes insisted upon unique designs for the PRR equipment as evidenced by the lounge and observation cars. In the twilight years of steam locomotive development, the scale of the American main line engine was reaching epic proportions. Greater size and power meant stronger, heavier reciprocating machinery; increasing the destructive forces of weight imbalance and of pulsing thrust upon railroad plant. 'Duplex Locomotive' design divided the power delivered to the wheels by employing two pairs of external cylinders attached to a rigid frame. Primarily the advantages of this system are smaller, lighter machinery and cylinders with gentler piston thrust, resulting in less 'hammer blow' effect. 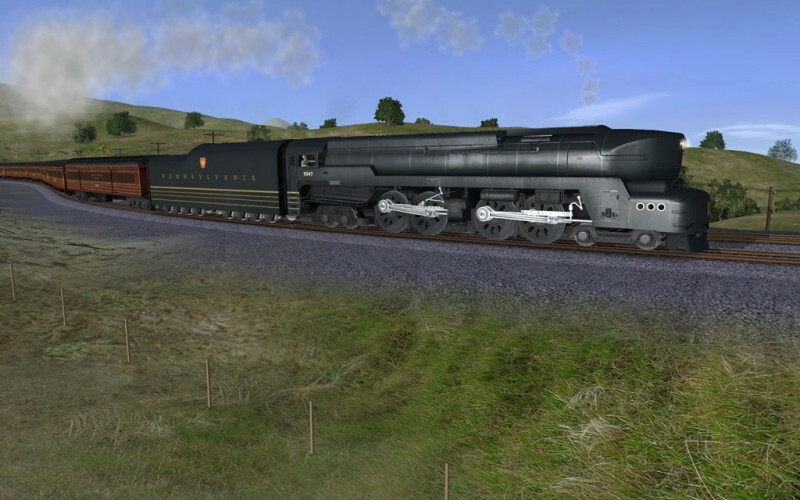 In 1939 Pennsylvania Railroad achieved a measure of success with its experimental S1 Class duplex express passenger engine though it's extreme length limited it's practicality. In search of a powerful replacement for its ageing K4s fleet, PRR commissioned Baldwin for a slightly more compact duplex locomotive design with a Belpaire firebox and Franklin oscillating-cam poppet valve gear. A pair of prototype T1 Class locomotives was delivered to the PRR in 1942 sporting a distinctive, Loewy styled exterior that featured a long angled nose, lateral skirting and a shrouded pilot with 'buick style' portholes. PRR administration was suitably impressed with the T1's ability to move a long train at high speed for a sustained period and encouraged by the war production board it placed an order for fifty locomotives. Construction of the T1 fleet was split between Baldwin works and PRR's Altoona workshops and the locomotives entered service in 1945 - 1946. The production series was delivered with a revised exterior styling for increased practicality. Notable features were a shorter, blunter nose and minimal lateral skirting making the machinery more accessible. Like all the best streamlining it wasn't long before it came off and the front cowling was again revised as the class was modified to take its final shape. 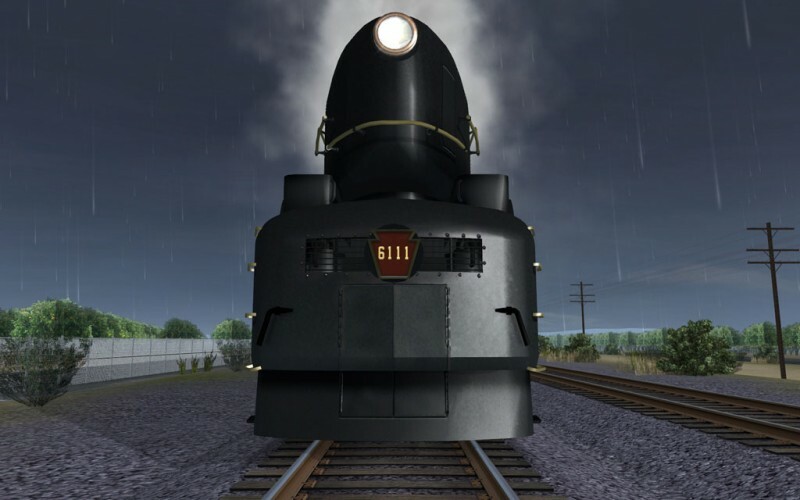 During their term of service the T1s could be seen at the head of such trains as 'The Broadway Limited', 'The General', 'The Admiral', 'The Manhattan Limited' and 'The Pittsburgher'. 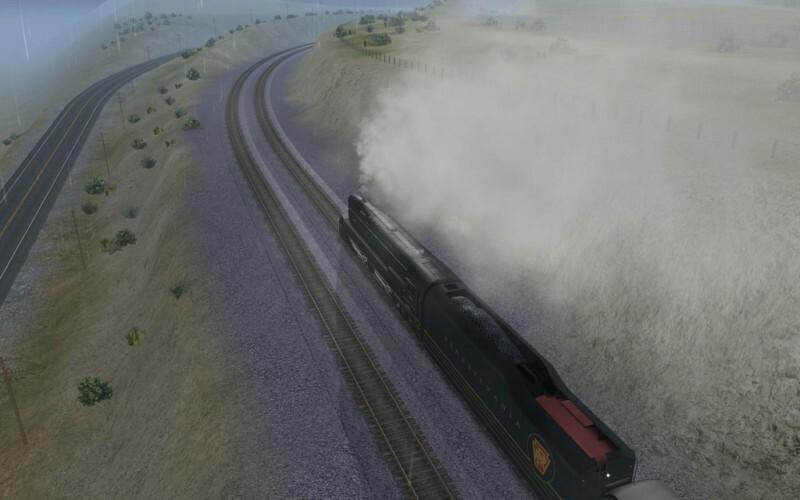 Reports that the class was notorious for violent wheelslip have been traditionally exaggerated, and it is often argued that it was not excessive if they were operated with the necessary finesse to handle such a powerful steam locomotive. 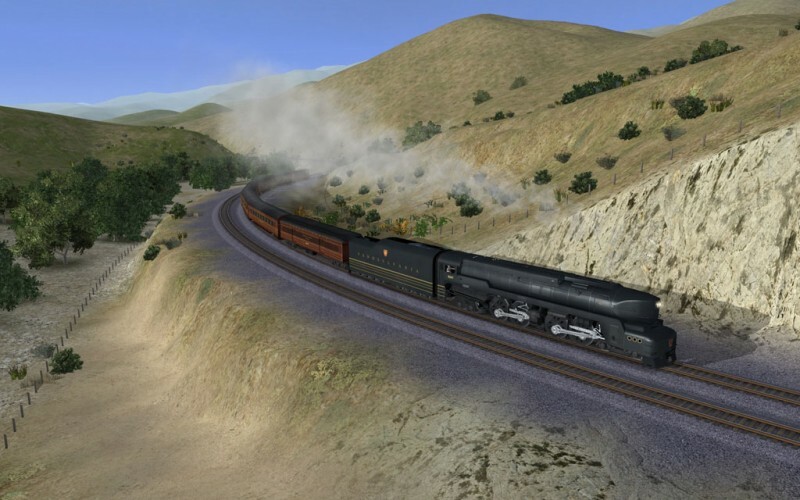 Unfortunately for the T1s, it's true that their complexity made them difficult to maintain, and that even as they were delivered the sun was setting on the PRR steam era. By the end of the 1940's the class had been displaced by diesel power, and over the ensuing years all would be subject to the scrapper's torch. While the T1 led only a brief career on the road, and while it was mechanically difficult, and while its styling proved to be a case of form fouling function; the T1 remains one of history's most distinctive and memorable locomotives and continues to be a popular subject for modellers of many mediums.